Mainak Dhar is an alumnus of IIM Ahmedabad and has spent more than two decades in the corporate sector. After 15 years abroad, he moved back to India in 2014 as the Managing Director & CEO of the India operations of a leading multinational firm. 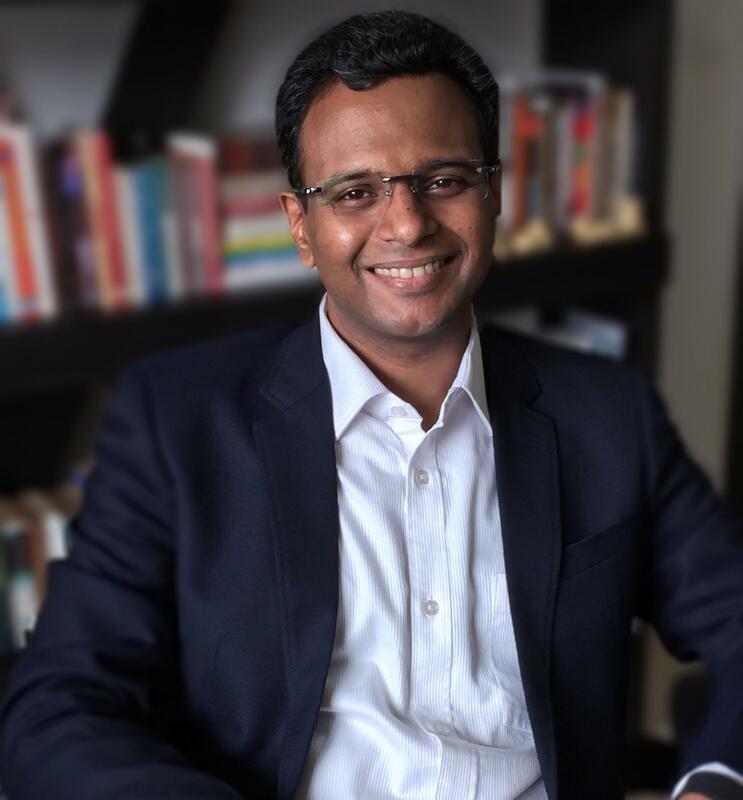 A self-described cubicle dweller by day and writer by night, he ios also the author of over a dozen books, some of which include the Alice in Deadland series and 03:02, which have been bestsellers in India and abroad. His books have been translated into Turkish, Vietnamese, Japanese, French, German and Portuguese, reaching millions of readers worldwide. The latest from his literary oeuvre is “Sniper’s Eye”. In a candid chat with Chirdeep Malhotra, he talks about his latest book, his writing journey, his favourite books and also tells what he thinks is the perfect recipe to a great mystery-thriller. Please tell us more about Mainak Dhar as a person. Just an ordinary guy who believes that one should live life fully every day and a good life is one where you have made a positive difference to those around you. Having spent two decades in the corporate sector and having simultaneously forayed into writing, you describe yourself as a cubicle dweller by day and a writer by night. Can you tell us more about your writing journey? Ever since I was a child, I loved storytelling- I had an imaginary friend who sat next to me in class and wrote a diary about how the world ended and buried it in the garden so that future historians would find it! The immediate spark for me taking the first real step towards the dream of being a writer was an interview of Stephen King which I read when I was eleven years old, and living in Canada at that time. He had said something to the effect that anytime anyone paid you a penny for your work, you were a published author. I took some poems I had written, stapled them together with solutions to the next term’s Maths textbook (figuring nobody would want to pay for my poems alone) and sold them to my classmates at fifty cents a copy. The $12.50 I earned was my first ‘royalty’ payment! I published my first ‘real’ book in college, a book on Economic History of India, and the thrill of seeing my name in print is something I still feel. To be honest, with my MBA and my career, I lost touch with my writing for a few years. My mother reignited my passion for writing. I lost my mother to Cancer in 2001 and in one of my last conversations with her, she told me that I’d do amazing things in my career but if there was thing she wanted, it was for me to start writing again, and to have that joy on my face she saw when I was making up stories as a child. I promised her I’d write a book a year, and I’m keeping to that promise. My first novel was The Funda of Mix-ology, published in 2008 and have taken it from there. Sniper’s Eye will be my eighteenth book. The most rewarding part of my writing journey has been connecting with readers all over the world, with my books being translated into several languages, most of which I can’t even speak or read- but the language of ideas is universal, I guess! Can you give a brief overview of your latest book “Sniper’s Eye”? 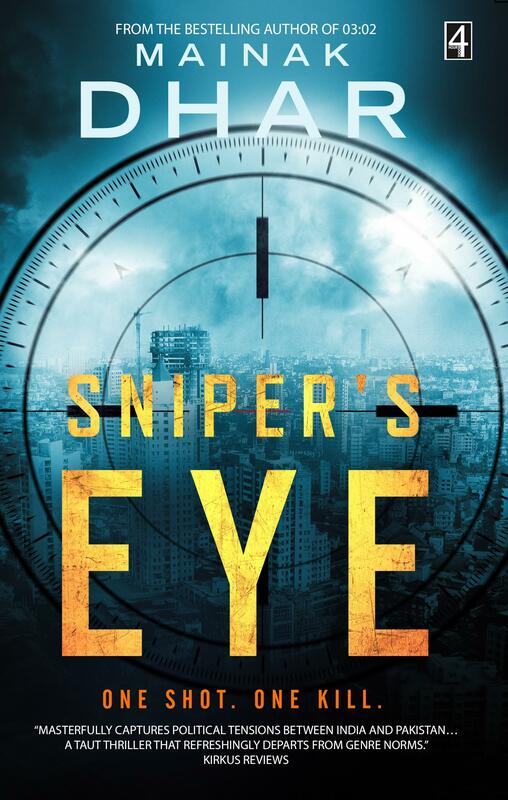 Sniper’s Eye is a thriller about an Army Major who has been trying to put the demons of his past behind him and live an ordinary life in Mumbai. On a date with his girlfriend in a mall, the man in front of them is shot, and he is thrust into the middle of a terror attack, which brings to the open his past, puts him on a terror kill list, and puts him and his loved ones in danger. As he is sucked in deeper, he has to become the man he once was and confront his past. He also he learns that things aren’t quite as they seem, and that there is a deeper conspiracy at play which he must unravel if he is to save himself and those he cares about. To do so, he has to learn to work with the sniper- a man who has sworn to kill him! What, according to you, is the perfect recipe to a great mystery-thriller? There’s no real formula or recipe- every book has its own soul and idea that connects with readers. However, for a thriller, I’d say some broad themes seem to help- something that will hook or intrigue the reader early and want them to join the writer in the journey, a protagonist the reader will want to cheer for and care about, since in a thriller you’ll likely put the protagonist through a lot of danger! Also, it always helps to have an antagonist who is not unidimensional. A great villain is sometimes what helps brings out the best in the hero! A lot! I learned about all kinds of fun things, like how to make a bomb out of a cigarette lighter, how not to do waterboarding, and how to escape if your hands are tied behind you with plastic ties and you’re sitting in a chair, blindfolded. Hope your readers pick up Sniper’s Eye and discover some of the results of that research. Stephen King, not just his work, but the words that provided the immediate spark for my writing ambitions; Tolkien for the fantastic worlds and characters he created; and Roald Dahl, for the twists in the tale, especially in his short stories. Books by these three still line the bookshelf near my bed, where I can get to them easily. The most important role I play is to be the best husband and father I can be for my family. So, other than my corporate career and writing, I try and spend as much time as I can with family. I do try and keep myself in shape and I run every day. I am also a keen student and practitioner of Karate, and hope to appear for my Black Belt in the coming year. With Sniper’s Eye, I have started a series I have in mind called The 7even Series, so the next project will be the sequel to Sniper’s Eye. Read- the best way a writer can grow is to read widely, get a sense of how other writers being their craft to bear, and to stimulate thinking on ideas or themes that may be of interest. Be original- don’t jump into bandwagons of what ‘will sell’. What will ultimately make the journey fulfilling is when a writer finds themes he or she is passionate about and bring that individuality and originality to their work. Be patient- being a published author isn’t something that will happen overnight. My first novel, The Funda of Mix-ology, gathered dozens of rejection slips before it was published and became a national bestseller. So even if you encounter setbacks, hang in there. Keep writing- writing one book is hard work; but once you have your first book out, don’t sit back if you’re serious about becoming a writer. Keep that curiosity and hunger alive and keep writing a little bit every day- even if you’re not working on a novel, write a blog, or articles or a diary- but keep writing. It is “Be the change you want to see”- by Mahatma Gandhi.